Description Black and white photograph of Robert Aroa (senior), taken 1873. Sepia studio portrait of Robert as a young man. Robert is the son of Issac Aroa and Sarah Aroa (nee Atkinson). He was born at Brough, Westmorland, England, 29 December 1836. He arrived in New Zealand in October 1855. 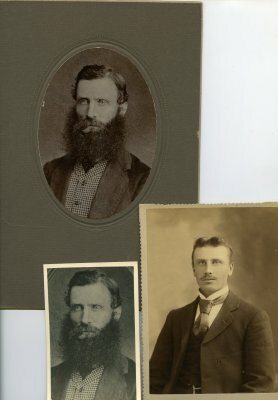 Robert farmed at Tetly Brook, Awatere, Marlborough and was killed in an accident in 1886. Died aged 49, 14 October 1886 Blenheim, New Zealand.